“We’d better watch the tide” the skip remarked cautiously as we pulled into the lagoon. The evening was bright and warm, and after tying off and having a swim we sat basking in the glow. As the sun made its descent towards the horizon I recalled Peter Kubelka musing about this as an illustration of a right angle, from which could be derived the basic foundation of architecture. As the ball falls, so to say. At the time I had been trying to articulate my own fascination with the right angle and reckon with the pleasure I derived from viewing an example against the abstract nature of its geological setting. Here was a resolution, written into the lighting structure of our existence on earth. To witness the sun setting against an unobstructed horizon is to witness a right angle in motion, save for imperceptible curves and visions of floating L’s. Surely, I thought to myself, my interest is biological, encoded into the human psyche through millennia, and exists in the same aesthetic realm as watching a gigantic fiery ball vanish from view, all the while illuminating particles in pleasurable ways previously unknown. Unless of course, one had lived yesterday. And so it was, and the evening was balmy and many lemons were squeezed before we thought to remember to watch the tide. The boat wouldn’t budge and our sun was setting swiftly. A hasty decision was made, and I was naked from the waist down, in as much water, trying desperately to heave the vessel back into a safely floating stasis. The skip who had been enjoying a swim in the suit which suits the terrain best, became aware and hurried to my side. With the extra weight we eventually did manage to budge the boat, and this is how we narrowly escaped at sundown on the night of two moons. 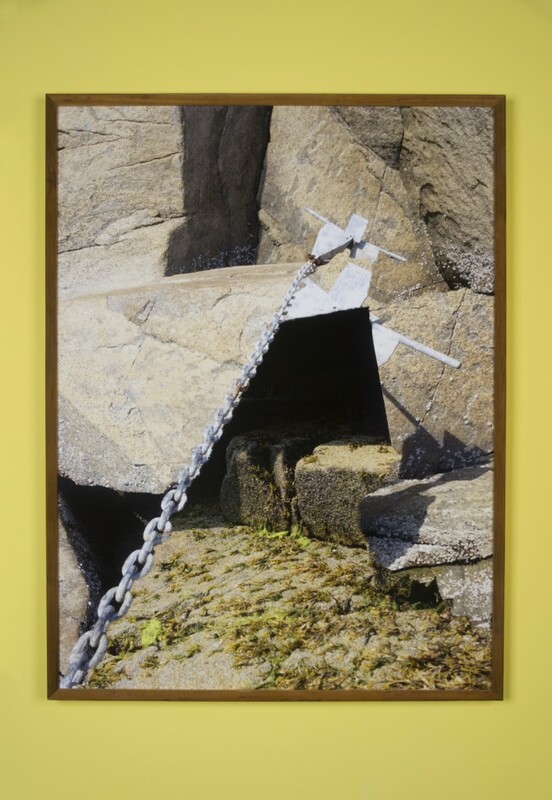 GRAHAM LANDIN ( born 1982, Vancouver ) is an artist, curator and marine enthusiast working in Vancouver. His artistic pursuits stem from a place of adventure and maintain a painterly perspective while working across mediums. His approach to landscape abstraction cites modernist techniques from action painting and minimalism to present a conceptual synthesis of research and process applied to local geography. Since 2013, he has acted as co-director of Sunset Terrace, a studio and project space in Vancouver. 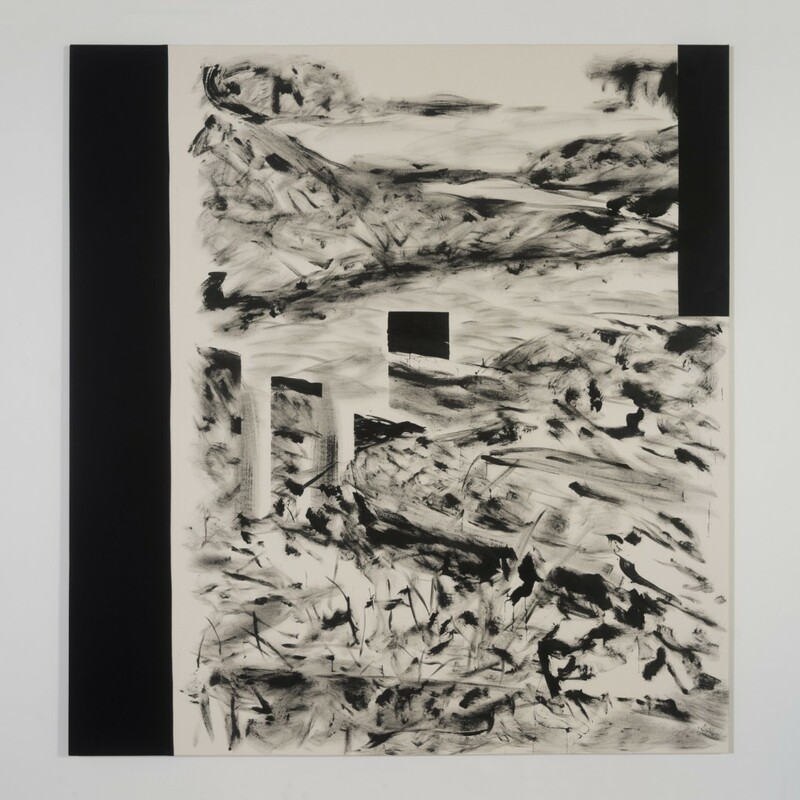 A graduate of the Emily Carr University of Art and Design, Landin was presented with the Chancellor’s award in 2014. 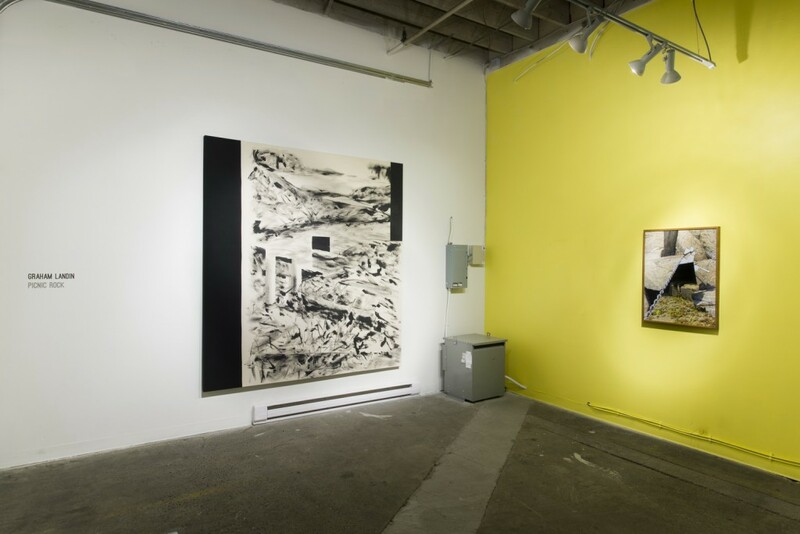 Recent exhibitions include Selected Works at Field Contemporary in Vancouver, 2014, Humour Risk at Kathleen Cullen in New York, 2014 (curated by Daniel Jefferies and Evan Reiser), and Volumes at the Burnaby Art Gallery in Burnaby, BC, 2014 (curated by Jennie Cane).